Presented as a project at Sofia Meetings, the latest film by Tonislav Hristov "The Magic Life of V" will have a world premiere at Sundance Film Festival as a part of the documentary competition. The films by "Twelve documentaries by some of the most courageous and extraordinary international filmmakers working today."(indiewire.com). As a project in the 15th edition of the Sofia Meetings 2018, the co-production between Finland ("Making Movies"), Denmark and Bulgaria (Soul Food, Andrea Stanoeva / Tonislav Hristov), ​​supported by National Film Center, the film tells a story of Veera. Screenwriters: Tomislav Hristov, Kaarle Aho and Lyubomir Tsvetkov, operator is Alexander Stanishev, composer - Peter Dundakov. „The Magic Life of V“ is the second project of Tonislav Hristov, which is selected in Sundance - in 2017. The film “Postman”, which also has presented at the Sofia Meetings, was given a chance to be shown to the audience in Utah, USA. 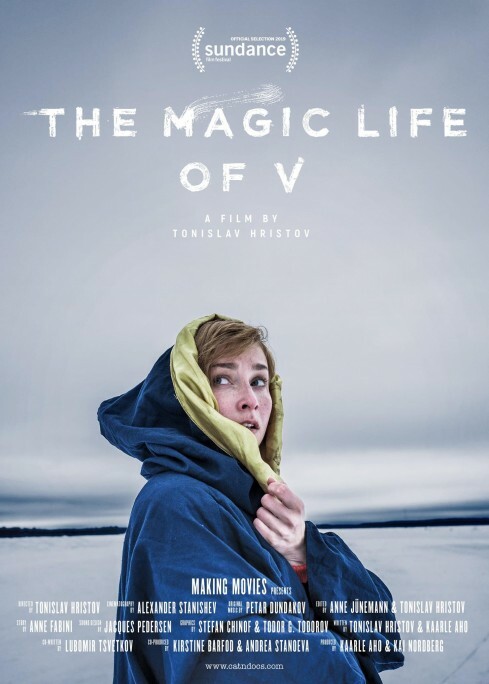 The premiere of "The Magic Life of V" will be on January 25, 2019. We wish a big success ! !